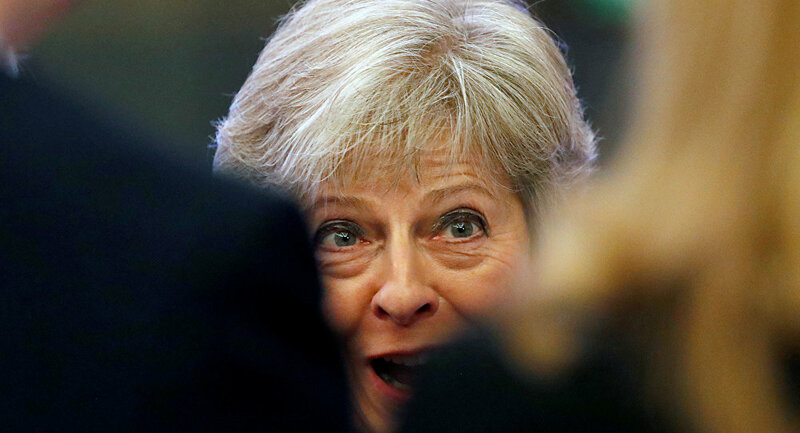 MOSCOW (Sputnik) - First Minister of Scotland blasted UK Prime Minister Theresa May's announcement on London continuing preparations for a no-deal Brexit and noted that "the only remotely workable way" is for the United Kingdom to stay in the Single Market and the Customs Union. "PM [May’s] statement was dreadful. The EU view was bluntly expressed yesterday but not new — she just hasn’t been listening. If her tactic now is to double down on the Chequers dead duck and then blame EU for a no deal, she will do huge damage to all those she is supposed to serve," First Minister of Scotland Nicola Sturgeon wrote on Twitter on Friday. There was no other option for London in Brexit than to stay both in the Single Market and the Customs Union, the Scottish minister underlined stressing that if PM was not prepared, then "Brexit shouldn’t happen". "‘No deal’ or ‘no detail‘ Brexit simply not acceptable — especially for Scotland, where we did not vote for this," Sturgeon stressed. Labour leader Jeremy Corbyn joined criticism of May’s plan on Brexit, calling Theresa May’s Brexit negotiating strategy "a disaster" and urging both London and Brussels to end "political games." Corbyn also noted in a statement, released by his party’s press service, that "the Tories have spent more time arguing among themselves than negotiating with the EU" and "from day one, the Prime Minister has looked incapable of delivering a good Brexit deal for Britain." Earlier in the day, May said that no-deal in the divorce between London and Brussels is highly likely as the European Union’s rejection of the Chequers Brexit plan has led the sides into an "impasse." The prime minister noted that Brussels' options for the United Kingdom – either staying in the European Economic Area and the Customs Union or a basic free trade agreement with Northern Ireland remaining in the Customs Union – are completely unacceptable for London. According to the Chequers plan, adopted by the UK cabinet in July, London and Brussels could create a free trade area for goods and maintain a "common rulebook" for all goods. The European Union, however, rejected the proposal as undermining the single market.